Renting a clown for a birthday party, company picnic, grand opening, community event, parade or other event is good old fashioned entertainment that guest love! Our seasonal clowns are professional, courteous and come with years of entertaining people of all ages at all types of events. Our clowns can perform special activities such as balloon twisting, face painting, dancing, tattooing and more! 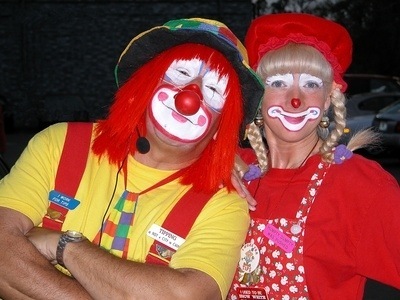 Call us to find out how reserving a clown can create an atmosphere of fun at your next event.